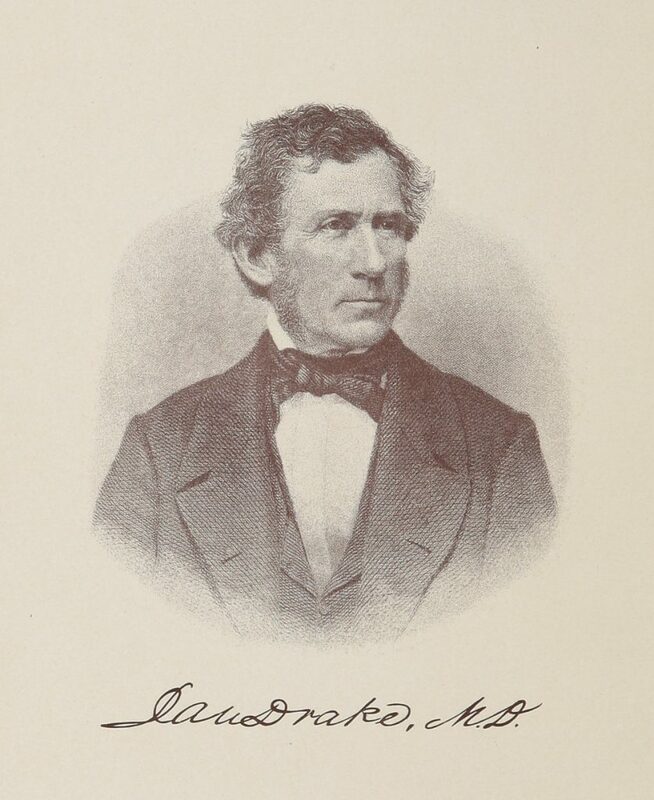 Medical innovator Daniel Drake started the Medical College of Ohio and the Cincinnati College. Those two institutions eventually birthed the University of Cincinnati. Almost every iconic Cincinnati institution finds its roots entwined with Daniel Drake, the man they called the “Frontier Leonardo.” Drake was a physician, surgeon, scientist, poet, professor, and medical administrator. He was a historian, geographer, cultural patron, political activist, businessman, booster, and gadfly. He was directly connected to the founding of the University of Cincinnati, the Museum Center, University Hospital, the Public Library, the Cincinnati Academy of Medicine, the Cincinnati Episcopal Diocese, the Cincinnati public school system, the Hamilton County Fair, the CSX Railway, Spring Grove Cemetery, and even Ohio’s nickname as the “Buckeye State.” Throughout his lifetime, few Cincinnati organizations failed to list him as a member. January 1819 was particularly productive as Drake lobbied for the creation of not one, but two colleges for Cincinnati—at a time when our total population fell shy of 10,000 residents. Both of Drake’s colleges endure to this day. The Medical College of Ohio, chartered January 19, 1819, eventually merged with the University of Cincinnati’s medical school. The Cincinnati College, chartered January 22, 1819, still meets annually, with UC’s president re-elected every year to chair the board. Drake came to Cincinnati, and to medicine, circuitously. A New Jersey native, he was still a toddler when his family emigrated to Mays Lick, Kentucky. At the age of 15, Drake apprenticed with William Goforth, surgeon general of the Ohio Militia. Although Goforth held no medical degree, he was a popular physician and an active amateur scientist. After five years, with no more wisdom to impart, Goforth told Drake to…go forth. Drake went—to the University of Pennsylvania, where he earned an authentic medical degree. Back in Cincinnati, Drake opened an apothecary shop featuring the town’s first soda fountain and wrote two best-selling books designed to drum up settlement here. He created a circulating library, helped found a school known as the Lancastrian Seminary, and then badgered the Ohio General Assembly for his two colleges. While Cincinnati continues to owe him immeasurable gratitude, it cannot be denied that Daniel Drake was a royal pain in the patootie. For example, Drake’s proposal for the Medical College of Ohio was based on the agreement of an eminent anatomist, Dr. Samuel Brown, to remove himself to the hinterlands as the cornerstone of the frontier faculty. Brown, comfortably ensconced in Philadelphia, demurred. Drake, with his customary tact, fired off a vituperative screed to the Liberty Hall newspaper, censuring Brown by castigating his conduct, character, ancestry, and patriotism. Amazingly, Brown was not moved to reconsider his decision. + Cincinnati Magazine looks at 10 events that set the city on its path to today. See the full list here. 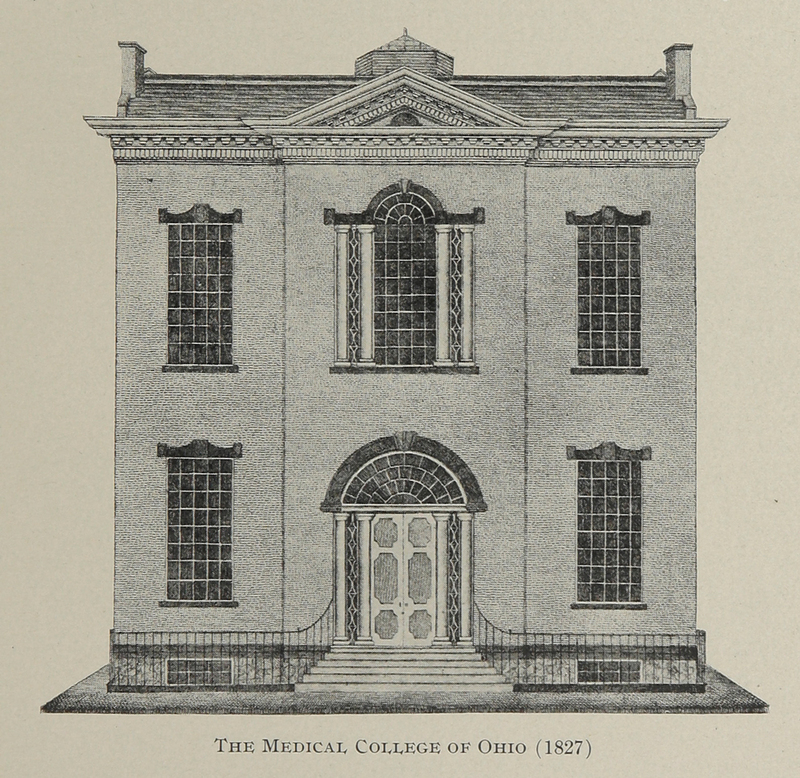 The Medical College of Ohio nevertheless opened for classes in 1820. Two years later, the college fired Daniel Drake. The college fired Drake again in 1832. He engineered his return to academic medicine in 1830 by founding a competing medical school, which he named “The Medical Department of Miami University.” The Medical College of Ohio ended this competition by first merging with Drake’s new school and then firing Drake. Drake responded in 1835 by creating yet another medical department—this one under the control of the Cincinnati College. Following a few years of open hostilities, all of Drake’s faculty were recruited away by the Medical College of Ohio, leaving Drake as the last one to turn out the lights. On this occasion, it may be said that Drake actually fired himself. In 1850, Drake, while not technically dismissed, was forced to resign. In 1852, the affairs of the college distressed Drake so thoroughly that—in his fourth stint on the faculty—he took to his sickbed and died. Though Drake’s intensity must have been difficult to deal with, the institutions it spawned have led long, healthy lives. Next articleHow Do We Survive Another Slow Start from the Reds?